Certificates of Achievement have been introduced when swimmers move into the Senior Club and then when moving up the groups within the Senior Club. 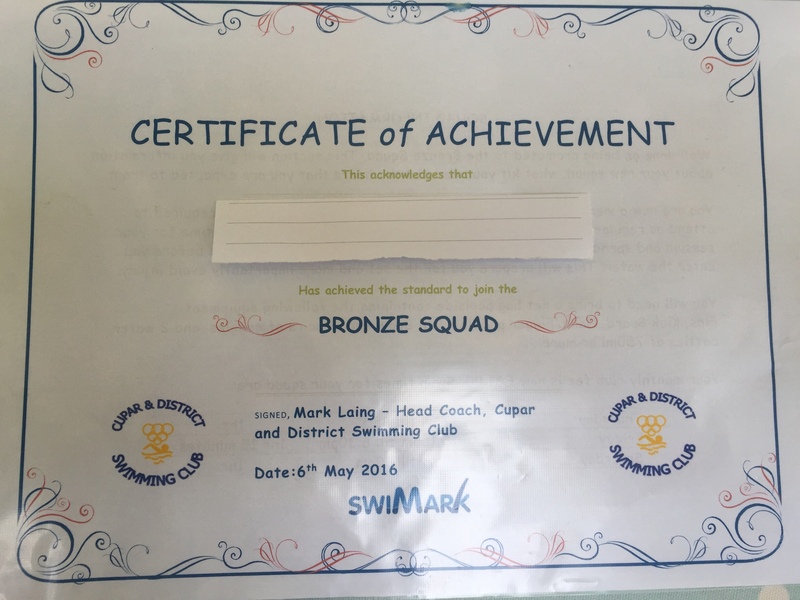 The purpose of these certificates are two fold one, to give the swimmer something to show their achievement and two, it gives the whole family information about the squad you are moving into. 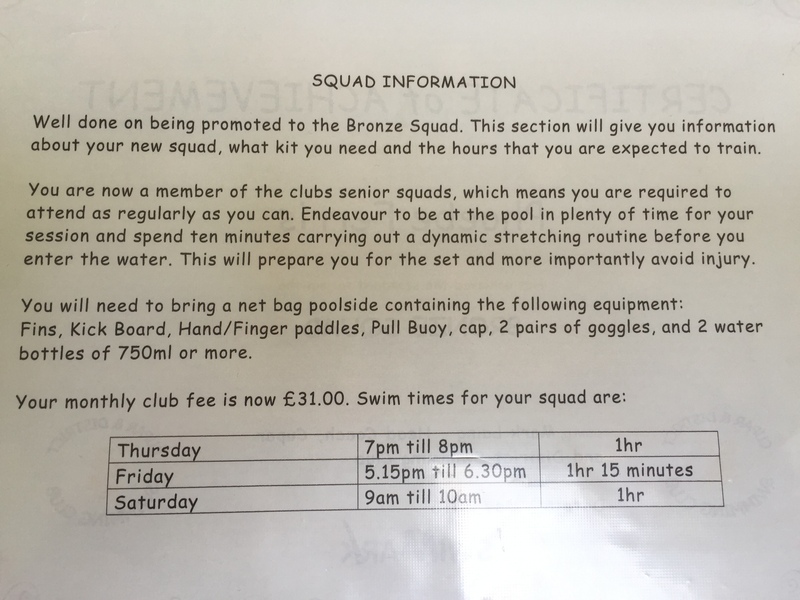 We hope this helps in recognising the work that your swimmers are putting into their training and also in getting information out to the whole family about any training session changes.